Dean had bought some of the new X-Wing releases, a couple of TIE interceptors and a B-Wing and wanted to try them out, also we wanted to introduce Ninjasaurus Rex to the game. Actually it was the first time all three of us had joined together to game. Our first three way. They duly arrived and I was duly consigned to using the Rebel scum, as usual. It would be nice to use the Imperials one day, and I dream of that time, but for now I chose the best I could. I took the B-Wing, flown by Ten Numb, the best pilots in the B-Wing pack, plus Luke Skywalker and Biggs Darklighter both in X-Wings. We used Ninjasaurus' star map, which he'd bought from Terrain Mat, for his Captain Ferk games, which is why it has hexes printed across it. My plan was to take on and destroy the two TIE Interceptors (Rex) with Luke and the B-Wing, before dealing with the harder target of Vader and his support TIE Fighter (Dean), which would have been held up by Biggs. The B-Wing was straight into the action along with Luke. 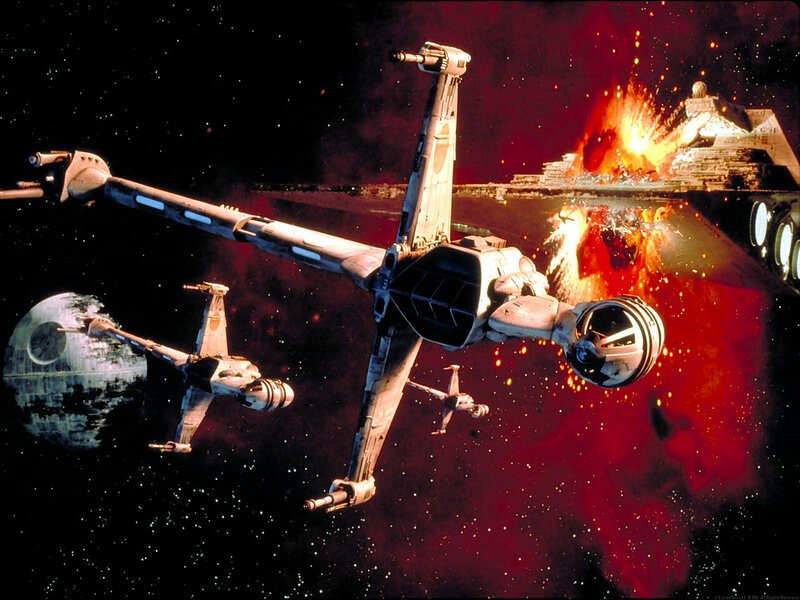 The initial blasts from the B-Wing were desultory and the Interceptors were able to use their speed to dodge the fire. I was surprised by the TIE Interceptor's speed as they zoomed past Luke and caused some damage to the B-Wing, whose lack of manoeuvrability was showing! Biggs had faced off against Vader and the other TIE Fighter with little effect, in the mean time Luke and the B-Wing flipped over to close on the Interceptors again. The B-Wing fired again, but was still unable to hit a space barn door from twenty paces. I was suddenly out numbered two to one and Biggs had also been taking damage from Vader! Things were looking grim for the Rebels! I drew my forces back together, strength in numbers and all that! And Bang! It was gone! Things were looking up! I realised that keeping my remaining ships close together was the best defence, as the Imperial attacks seemed to be uncoordinated. In fact, it was like watching someone herd cats. It paid off as Ninjasaurus' second Interceptor bit the space dust! Sticking close together both Luke and Biggs locked on against Vader, who failed to destroy Biggs' ship, despite all his add-ons! The two X-Wings split and Luke followed Vader. ...And shot it to pieces with deadly accuracy! Now it was two against one and I'd pulled the game back from the jaws of defeat! ...Biggs' luck finally gave out and he was sent to a fiery grave in space! Luke was now after vengeance, he flipped his X-Wing and called on the force with all his blasters blazing. Vader was already badly damaged and Luke's final blasts hit home! Vader's ship suddenly blew into a million pieces, and then was suddenly silenced. It was all over, Luke was triumphant, but it was a hard fought fight. As soon as the B-Wing went down I thought it was curtains for the Rebels, but Luke and Biggs worked as a great team and pulled it back. We were all disappointed in the performance of the B-Wing and how ineffective it appeared to be, but that could have been down to the luck of the dice from the Imperials. I think we need to use it in a few more games to see where its strengths are. It was another enjoyable game of X-Wing, I really like it and the rules work well and make for an exciting game no matter what the outcome. Space is crawling with gun fights in your part of the galaxy, ABS. I categorize the B-wing as an Interdictor Tactical Strike Fighter, on the order of an F-111 or the classic British WW2 Mosquito. It's not meant for dogfights, but for all out assaults on heavy targets. 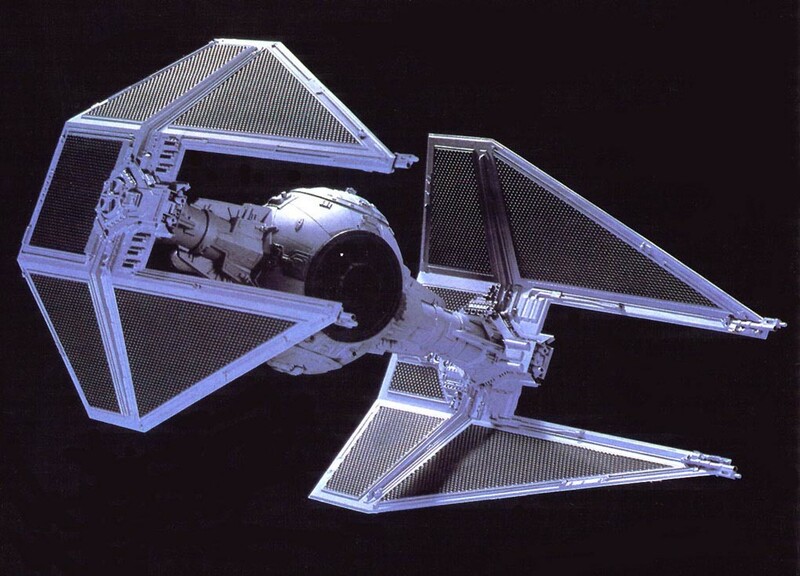 The point of the B-wing is weapons load; kit it out to kill, give it plenty of perimeter protection with faster fighters (like an A-wing/X-wing mix), and send it in to whack your opponent's heavies— the TIE Bomber, the TIE-Advanced, the Lambda-class Shuttle, or the Firespray-31 (aka Slave 1). So the B-wing is better for an objective-based scenario ("blow up the Imperial Governor's Shuttle") than a last-man standing melee. Thanks Parzival, as this was my first use of the ship it was hard to know what to do with it. I don't own the game, either, which makes things a little harder to know how to use. I'll certainly take the advice on board and see what happens next time the B comes out to play!